This special extra episode of the podcast features a conversation with Sam Sycamore of the Good Life Revival Podcast. 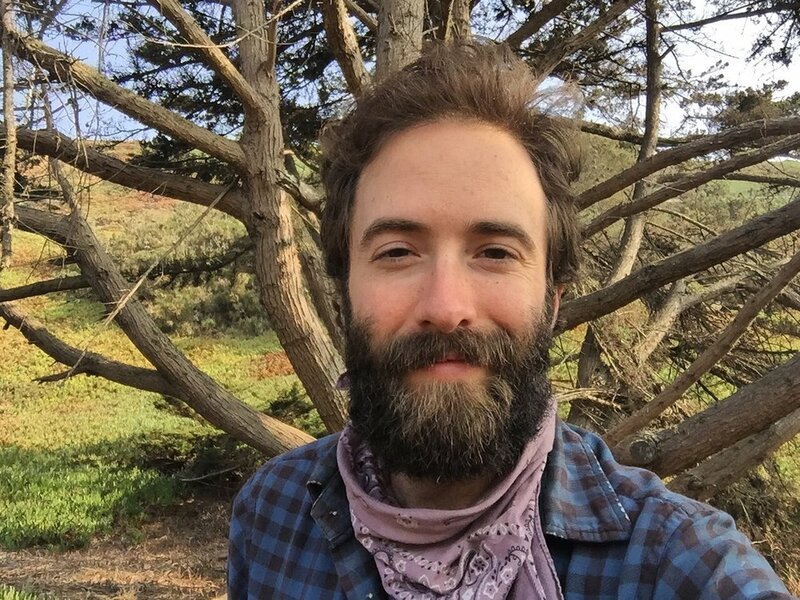 He hails originally from Kentucky, but has also traveled at different times across the U.S., farmed in Indiana, and now currently lives off-grid in Santa Cruz, California where he runs his podcast, is tending permaculture gardens, makes music and teaches an online foraging course. Sam reached out to me to see if I’d like to do a collaborative recording to share on both of our podcasts about our projects and lives- which have a lot in common! Of course, I was down! I was already traveling through the area where he lives to visit a friend, and we ended up meeting in a parking lot by the ocean in Santa Cruz to record this conversation in the back of my camper. In this conversation, you get to know each of us a little more than perhaps we’ve revealed on our individual podcasts alone through interviewing or featuring others. We weave our talk with honest questions of the other as they arise and through this natural cadence (occasionally interrupted by the threat of beach parking police) we visit topics of our shared interest. We discuss the pros and cons of so called ‘#vanlife,’ a movement I am very much a part of but don’t really tap into online for a few reasons. We both share our stories of questioning whether we should stay in our less than desirable home towns where our skills are needed but the culture is difficult, or whether to venture out into wider circles. We ventured towards the topics of death and the need for elders near the end of our conversation, and how keeping death in mind is necessary but not always easy— and when we keep death in mind we can make present choices today to live our fullest life, in service to the land and one another. Support the podcast on Patreon to contribute to our grassroots self-funding of this project.